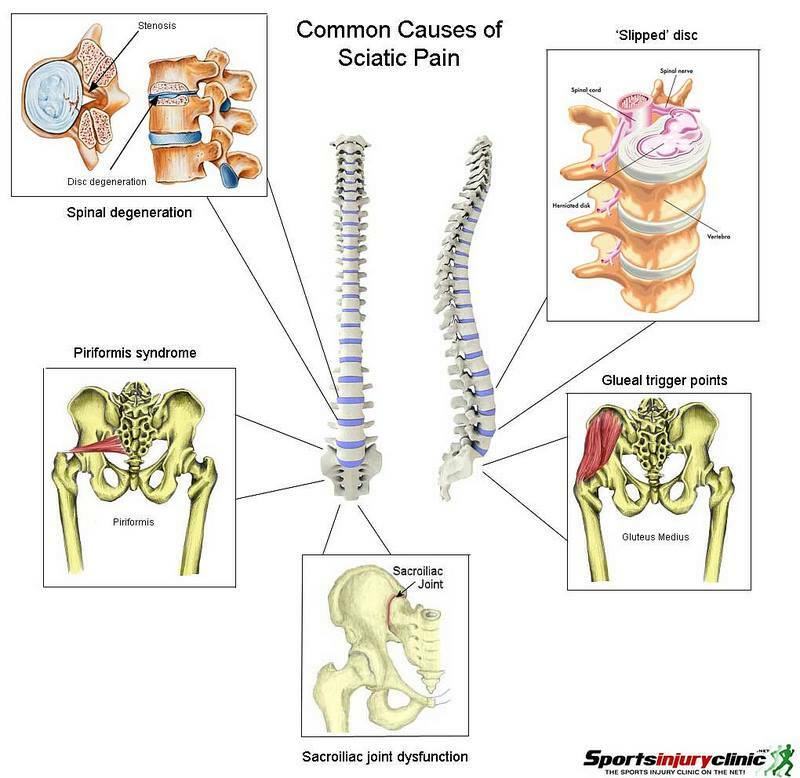 Sciatica is a type of pain that stems from the irritation or inflammation of the sciatic nerve. The sciatic nerve is the longest nerve within the human body, running from the spinal cord through the buttocks and down each leg, ending right below the knee. The sciatic nerve is a very important component in the body, as it affects the ability to control and feel sensations within the legs. Any type of ailment originating with this nerve can result in mild to severe sciatica. Common symptoms are leg pain (which can feel like shooting, burning, cramping, and throbbing types of pain), tingling and numbness in the legs and feet, and pain throughout the lower back and buttocks. Patients frequently report more severe pain when sitting for long periods of time, or when coughing or sneezing. Symptoms of sciatica that progressively get worse can be a sign of actual sciatic nerve damage. Studies have shown that about 90% of sciatica cases are a result of a herniated or slipped disc that is putting pressure on the sciatic nerve root. To diagnose, a physician will conduct a physical examination of the patient to assess tenderness over certain areas of the spine, along with monitoring the mobility of the lower extremities. Many times radiological imaging such as a CT scan, X-ray, or MRI will be used in the assessment process. Sciatica can also be caused by chronic lower back pain. Patients who have lower back pain have shown even longer recovery times due to the additional back, leg, and buttock pain from sciatica. A “pinched nerve” can also act as a trigger for sciatica. When a nerve gets pinched inside or outside of the spinal canal it can pass into the leg and cause pain in the lower extremities. 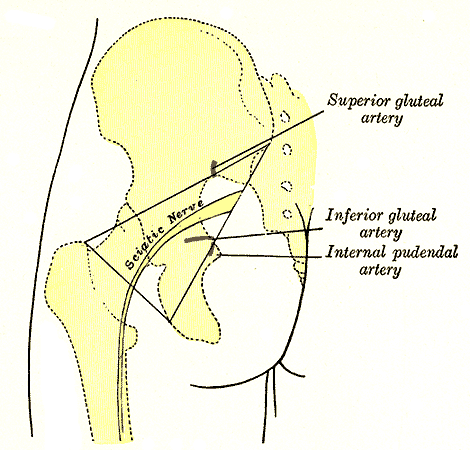 Other conditions that have been found to cause sciatica include spinal stenosis (narrowing of the spinal canal which tends to put more pressure on spinal nerves), piriformis syndrome (spasms in the piriformis muscle that can irritate the sciatic nerve), and spondylolisthesis (slippage of one vertebra over the other, causing nerve exits to narrow). The treatment goal for patients with sciatica is to increase mobility of the lower extremities and decrease pain symptoms. Natural types of therapy like exercise, physical therapy, massage, a balanced nutritious diet, and rest have been found to aid in pain relief. Simple life choices can also have a positive effect on treatment goals, such as sleeping on a firm mattress, wearing comfortable shoes, and only standing on the feet for short periods of time. Medication is the most common type of treatment for sciatica. Different forms of non-steroidal anti-inflammatory drugs (NSAIDs), muscle relaxants, opioid medication, and antidepressants are usually used at the beginning of a patient’s therapy and then tapered as pain symptoms subside. For patients with more severe cases of sciatica, interventional types of treatment options can be explored. A physician will frequently recommend injections such as epidural steroid injections, trigger point injections, and Botox, which have produced successful results. Techniques like biofeedback, intrathecal pump implants, and spinal cord stimulation have also effectively shown a decrease in pain symptoms. In addition, there are alternative treatment options for patients. Acupuncture, yoga, and transcutaneous electrical stimulation can provide pain relief with little or no known side effects. These therapies work well for patients who would prefer to find a treatment plan that does not involve prescribed medication or physical injections due to preference or an existing medical condition. Sciatica is a symptom, rather than a condition, that develops when the sciatic nerve becomes inflamed or irritated. Since the sciatic nerve is the longest nerve in the human body, any condition affecting it can cause mild to severe pain throughout the lower half of the patient’s body. Patients experiencing sciatica commonly suffer shooting pain within one of the legs and a tingling or numbness in the lower extremities. There are many conditions that can trigger sciatica, such as a herniated disc, a pinched nerve, or spinal stenosis. A wide variety of treatment options are available to sciatica patients for pain relief. 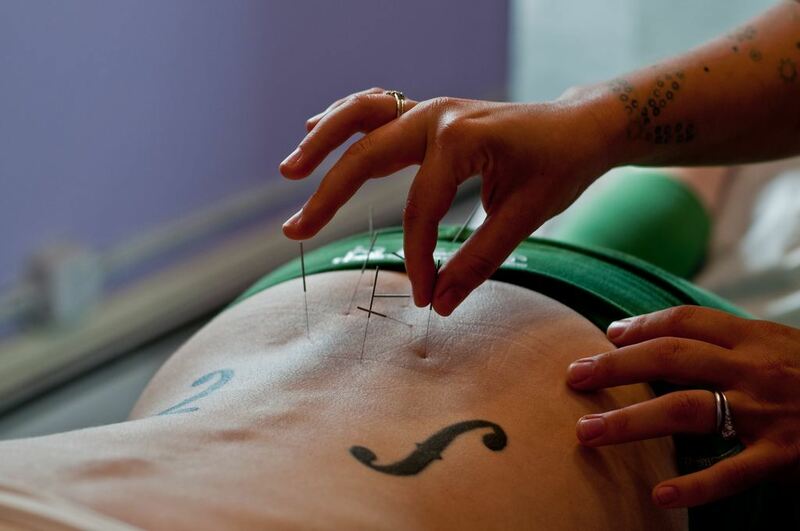 Medication, injections, and alternative therapies like acupuncture have all been shown to be successful in relieving sciatica symptoms. At Nevada Pain our goal is to relieve your sciatica pain and improve function to increase your quality of life. Dreiser RL, Le Parc JM, Velicitat P, Lleu PL. Oral meloxicam is effective in acute sciatica: two randomised, double-blind trials versus placebo or diclofenac. Inflamm Res. 2001;50:S17-23. Koes BW, van Tulder MW, Peul WC. Diagnosis and treatment of sciatica. BMJ. 2007;334:1313-7. Selim AJ, Ren XS, Fincke G, Deyo RA, Rogers W, Miller D, et al: The importance of radiating leg pain in assessing health outcomes among patients with low back pain. Results from the Veterans Health Study. Spine. 1998; 23:470–474. Tubach F, Beaute J, Leclerc A. Natural history and prognostic indicators of sciatica. J Clin Epidemiol. 2004;57:174-9. Vroomen PCAJ, Krom MCTFM de, Slofstra PD, Knottnerus JA. Conservative treatment of sciatica: a systematic review. J Spinal Dis. 2000;13:463-9. Vroomen PC, de Krom MC, Knottnerus JA: Predicting the outcome of sciatica at short-term follow-up. British Journal of General Practice. 2002;52:119–123. Vogt MT, Kwoh CK, Cope DK, Osial TA, Culyba M, Starz TW. Analgesic usage for low back pain: impact on health care costs and service use. Spine. 2005;30:1075-81. Weinstein JN, Lurie JD, Olson PR, Bronner KK, Fisher ES. United States’ trends and regional variations in lumbar spine surgery: 1992-2003. Spine. 2006;31:2707-14.